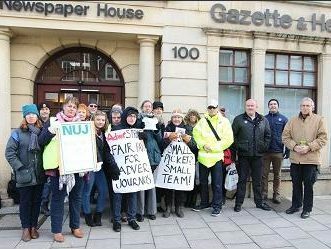 The National Union of Journalists and staff at the Swindon Advertiser have accused the paper’s publisher of advertising a newsdesk role only two months after making a news editor redundant. The Union claims Newsquest editorial director Toby Granville sent an email to staff advertising two new “audience content editor” posts at the paper. On the day the job advert was sent out, the one remaining member of the Advertiser’s newsdesk (here meaning editing staff) resigned, according to the NUJ. Press Gazette understands that there is currently one journalist working on the Advertiser’s newsdesk and a further five reporters on the paper. The NUJ said reporters were left “confused and angry” at the advert after being told last December that the role had been made redundant along with three content editors and the group’s web and social media editor. It added that the news editor position was not put up for redundancy during December’s consultation period that saw all five roles made redundant. 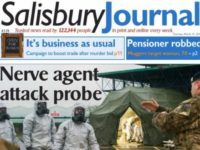 Newsquest have disputed the claims from the union, saying that the new roles were announced to “fill vacancies created by recent resignations” and are not replacing the roles made redundant. Reporters on the daily paper launched a strike in January (pictured) to protest “poverty pay” and job cuts. A spokesperson for the Swindon Chapel of the NUJ said: “Members were understandably confused and angry by the job advert and requested a meeting with the newly-appointed editor/head of content that day to discuss the vacancies. “Unfortunately, no light was shed on how this role was any different to the former role of news editor, other than that the positions would be more digitally focussed. 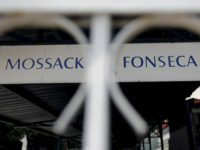 “This came as a surprise, as the newspaper’s website and its social media channels form a significant part of the newsdesk’s responsibilities. “Staff were then told that the roles would be split so that one audience content editor would work the early and the other the late shift, sparking further confusion as that was exactly the set-up that was operating up until December 29 under the news editor and assistant news editor. Newsquest editorial director Toby Granville responding to the claims made by the NUJ said: “This is more nonsense being stirred up by NUJ head office. These two new audience and content editor roles are to fill the vacancies created by recent resignations from the Company. “They are not replacing any of the roles made redundant – and at the time, we were of course unaware of these resignations. These two new exciting roles have been introduced already at several of our titles and really encapsulate the skills required in the modern multimedia newsroom. The NUJ disputed the claims made by Granville regarding the news roles. A spokesperson said: “For many years now the Swindon Advertiser has only had two members of staff working on the news desk – a news editor and an assistant news editor. “The news editor was made redundant in December 2017, leaving only the assistant news editor, who did indeed resign last week. A spokesperson for Newsquest responding to the fresh claims said: “The NUJ claims are nonsense. There are other people in the Swindon management team besides the assistant news editor. “One of them – despite being offered the newly-created audience and content editor role – has told us they are leaving. “Therefore we are looking for two audience and content editors to work directly for the new editor. It is a disgraceful news (not that you can call it news) publication that incites hatred and false reporting for the sole benefit of its shareholders. Not that I am sorry to see the reporters leave as they were complicit in the false and biased reporting to invoke a reaction from the poorly educated news readers of Swindon. The word Karma springs to mind.